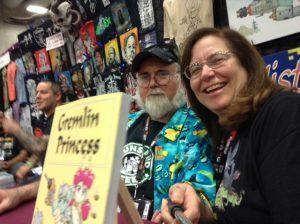 We want to thank all the people who came to see us at San Diego and who bought the first “prototype” book of the Gremlin Princess Webcomic. Unfortunately, we could only afford a small 50 copy print run and sold most of those out at the show. We will, however, be running a Kickstarter drive in October for printing the full up, corrected version with additional pages. 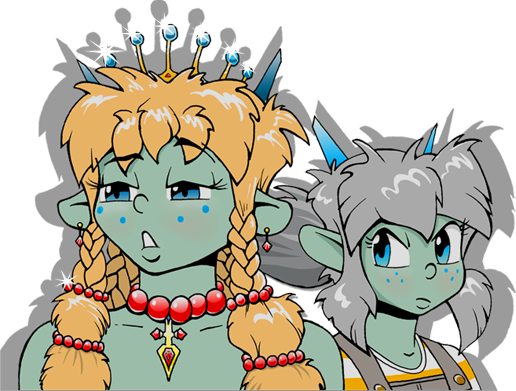 The continuation of the Gremlin Princess story (book 2) will start on the website as soon as we get an 8 page buffer in the can as well as fixing some issues on the website. 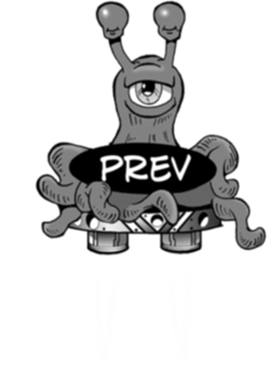 We WILL be continuing Gremlin Princess but it is possible there will be some kind of wacky intermediate pages published while the buffer is being rebuilt. 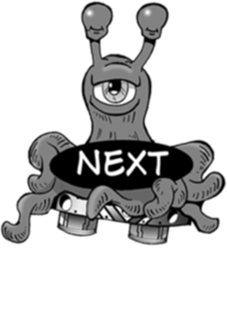 This is all provisional at this point so please keep checking us out on a weekly basis. Thanks for your support, we appreciate it! why was this page late? I’m posting this from a Starbucks on my wife’s computer so this will be short. On Thursday there was gale force winds in the northwest which resulted in several hundred thousand power outages from Tacoma to the Canadian border. Our power went off Thursday at noon and we’ve been camped in the living from for the last 4 days and finally got power available late today. Unfortunately internet service won’t happen tomorrow – maybe. Okay, the internet got up faster than they told us. ADD: Our Xmas turkey is now in the garbage can due to no refrigeration. It’s going to be Col. Sanders for the holiday. On last Wednesday, my shoulder angel whispered that I should post the next page that night but my shoulder devil wanted to watch TV. I’ve learned my lesson and will be posting more of the buffer before hand so if this happens again there won’t be any delays. Hope everyone has a lovely holiday.